Here’s how you can keep using yalu102 iOS 10.2 jailbreak app without having to re-sign the certificate every 7 days or so. The modern world of semi-untethered jailbreaks can be an extremely confusing place to exist. 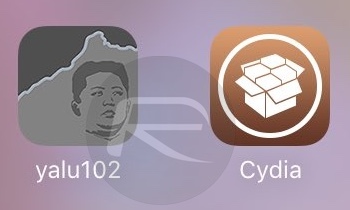 In fact, even those who have been enjoying jailbreaking for a number of years can sometimes find themselves in a state of confusion about the modern process, as well as things like having to continuously re-sign the jailbreak app, yalu102 in this case, in order to continue enjoying everything that jailbreaking brings. Both Jay Freeman and Luca Todesco have already talked about an auto-signing solution being in the works, but until that makes its way into the public domain, there is a neat little trick to ensure that you can continue to use yalu102 without having to re-sign the app after the certificate expiration, which in most cases is after seven days. The process is going to involve changing the date on the jailbroken device, which means knowing and remembering when the jailbreak app yalu102 was last signed is quite important. Now when the next time yalu102 app crashes and doesn’t launch, indicating the certificate of the app has expired, here’s what you can do to get it running again without having to connect the device to computer and re-sign the app. 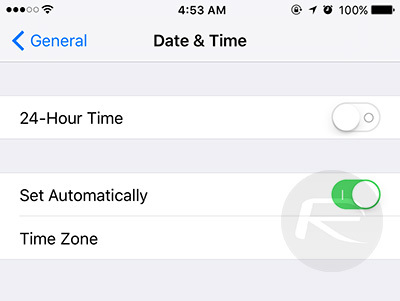 Step 1: When the device is still in jailbreak mode, head into the Date & Time settings of the device (Settings > General > Date & Time) and flick the Set Automatically option to the Off position. Step 2: Now manually change the date to the day after you last signed the jailbreak app. So, as an example, if you last signed the jailbreak app on February 22, then you need to change the date to February 23. Step 3: With that date changed, turn the device off and then back on again. When you switch it back on, you will be able to run the yalu102 jailbreak app and have the device put back into jailbreak mode. Step 4: Once the yalu102 jailbreak app has been put through its paces again, and the device is once again in jailbreak mode, you can then set the system date back to the current date and continue using the device. This is an ongoing process, of course, meaning that you will need to repeat this process every time you restart the device and it’s back in non-jailbreak mode. It can be a bit cumbersome, but it’s definitely a solution that will work without having to re-sign every week until Jay Freeman and team come up with an auto-signing solution for yalu102 jailbreak. Why..? Doing this is a mere 5 taps and a reboot.. Simple. but… i jailbroke my 6 10.2 on jan 31st and iv not had to resign. Why? becuase its still jailbroken. Yes, the cert has expired but i only loose the jailbreak if i restart the phone. I havent restarted my phone, only resprung when installing new tweaks. so having to re do the jailbreak every 7 days is not strictly needed. Great work around if you’re not near a Computer! Funk dat! Just spend the $99 and buy a damn dev account. Well, wherever I am, my MacBook is always with me! A lot of jailbreak guys specifically said not to mess with the System Clock! Stop yelling at me? Wtf did I ever do to you?! I didn’t mean to yell! So, that does work? If I have a dev account I can just enter my id? Yup, just use the iTunes account (in impactor) that was used to purchased the year of “Apple Developer Program”. The .p12 cert that got created doesn’t expire for a whole year. Luckily this jailbreak doesn’t blow up every other day like the Pangu one did. Holy crap that was annoying! I have 5 devices in my household so this was money well spent. It worked out differently on the iDevice as there’s no added profile for it under Profiles. let me get this straight… This will only work if the date is reset ONLY if the phone is in jailbroken mode… So if the phone accidentally get rebooted / crash-reboot and the certificate is expired you are screwed and will need a PC. Anyway I am curious has anyone successfully made this work? This actually works even if the device has rebooted/crashed. The trick I found, at least with iPad Air 2 was once the Yalu app is up, change the Date/Time to Set Automatically and immediately go back to Yalu and wait about 10 seconds and click GO. It works for me, YMMV. No way. Yalu doesn’t open when you’re not jailbroken. So..